So, with the Mueller report being dropped over the weekend, the Ilhan Omar fiasco has been buried…for now. The Minnesota Democratic congresswoman has engulfed her party in an anti-Semitism pickle that exposed the cracks in the new House majority. 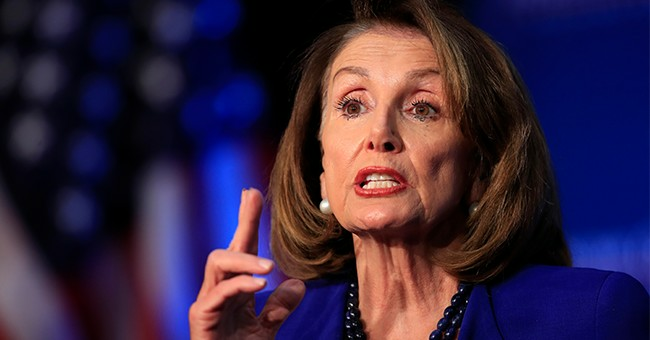 It also showed that Speaker Nancy Pelosi is incapable of controlling the far left-wing elements within her own caucus. She caved. Omar has a long history of peddling anti-Semitism. From tweeting about Israel’s hypnotic powers in 2012 to allegations of dual loyalty lobbed at supporters of the Jewish state, it’s been ugly. The dual loyalty fiasco is by far the worst example of explicit anti-Semitism peddled by Omar, one that she has yet to offer an apology. It’s not going to happen, of course. It did force House Democrats to vote on a resolution condemning anti-Semitism, but a closed-door meeting led to a rumble between Democrats who wanted to vote for a strong resolution to those who wanted to water it down because they didn’t want to single out Omar. It took days for the Left to get their act together and in the end; the resolution became an all-encompassing anti-bad things resolution that was straight trash. “I simply declare: to be anti-Semitic is to be anti-American. It has no place in our country,” Pelosi said. Well, there’s little room for interpretation here. Nancy, this could’ve been neutralized if you didn’t back down to the radical Left and voted on a resolution that slammed anti-Semitism. Worried about singling out Ilhan Omar? Lady, you just did. "We must also be vigilant against bigoted or dangerous ideologies masquerading as policy, and that includes BDS," Pelosi said at AIPAC. Omar, a vocal supporter of sanctions against Israel, responded later in the day by telling reporters on Capitol Hill that the BDS movement was an exercise of free speech. "A condemnation for people that want to exercise their First Amendment rights is beneath any leader, and I hope that we find a better use of language when we are trying to speak as members of Congress that are sworn to protect the Constitution," Omar said. Do we have a Democratic civil war going on?